Visiting a veterinarian can be challenging at times but studies indicate that those pets that get the most health checks live longest. When you are looking for a veterinarian you should be able to count on superior care and excellent service from Dr. Cortney. At H.O.P.E. Veterinary Clinic we have assembled an expert team of veterinary professionals to bring you the best possible healthcare for your pet. We have fully functional, clean, comfortable, and efficient set up and facility. Call (555)-555-5555 to schedule an appointment and we will find a time that is convenient for you. Routine annual check ups and health visits should happen once a year for pets 5 years of age and younger, and every 6 months for older pets. This will include a full physical exam. 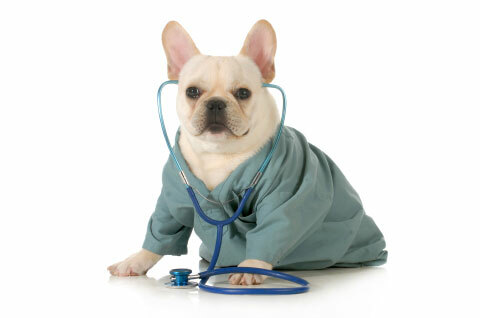 However, we understand that pets get sick too and need Veterinary attention at other times. It is important to remember that if you are concerned about your pet and something doesn't seem right with them, we are certainly concerned too and we will be happy to see your pet anytime. Please call our office and make an appointment. A full check up includes; a head to toe visual inspection with oral examination, eye/ear examination, limb palpation, abdominal palpation, and chest auscultation. We will share the results with you and make recommendations based on our findings. We may also need to do further tests to figure out exactly what is going on. Bring in any medications that are currently being used including over the counter supplements and vitamins. Write down the current diet being fed including treats. For cats note the “flavors” of canned food.